Earlier this year I found myself getting increasingly frustrated because LesleysRow was evolving into a massive logistical exercise that was starting to take the sense of adventure and joy away from my original idea. I am extremely happy to say that everything is sorted! 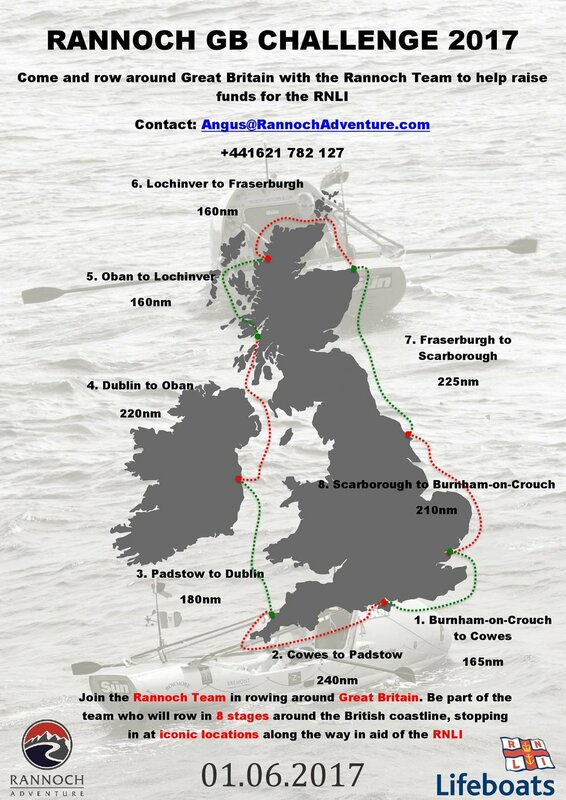 As a result of a serendipitously-timed phone call to Charlie Pitcher, at Rannoch Adventure, I came away with the top prize... a seat on an organised row around the coastline of GB in 2017 (raising money for the RNLI) that almost exactly mirrors the row I had in mind but with the bonus of me not having to take on the considerable responsibilities of the project. As Charlie said, "If you can pull an oar, you'll be fine". Which is nice.